Hard working and strong, Carhartt's anvil belt comes in a classic design. Carhartt's foreman belt gets the job done in style with hand-sewn detailing at the buckle end. Nice belt, good quality which is true for all the Carhartt products I buy. This is a very good awesome belt. I love my foreman carhartt belt. It's top quality looks incredible I wear as my dress belt. It's a belt. It does what it is supposed to do, holds up my pants.. 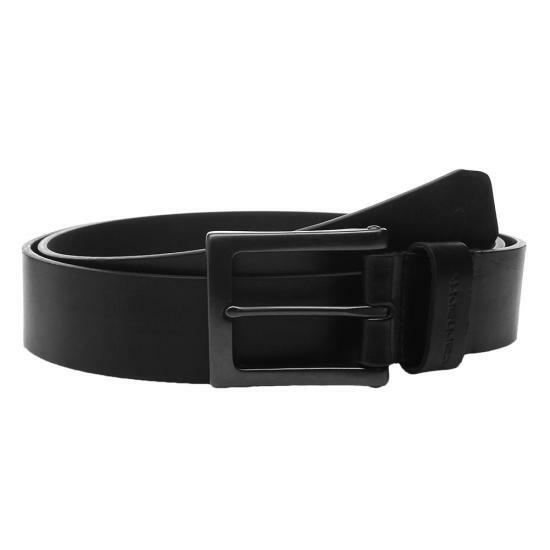 I ordered the brown belt and it is so dark that my wife thought they accidentally sent the black instead of the brown. Its much darker than represented on the web page. It is however a well made and high quality belt. I wish it was made in the U.S.
Great looking and fitting belt. 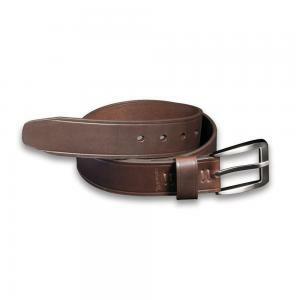 I've had this style of belt for over two years, recently purchased one in brown. This belt is straight as an arrow after repeated use. I highly recommend this belt. I've worn Carhartt belts for years and have been highly satisfied with quality and durability. I have dropped about 35 pounds over the course of the past year and decided I should downsize my belts, I took my old Carhart A107 size 40 (stamped inside the belt) measured from the tip of the buckle tongue to the middle hole on the belt,...exactly 40 inches. since your website doesn't indicate how belts are sized, I ordered 1 ea. size 38 Carhartt Foreman and Detroit belts, got them. they each measure 36 inches using the method described above. I'm having to use the hole at the tip end of the belt in order to wear them, Carhart should be able to standardize belt sizes, not happy with this product. expected better quality for the price. When I bought the belt I had never seen it before. I was dissapointed when I received the belt. The leather was inferior...it felt very plasticy and cheap.